Keeping with tradition, iFixit has reduced another smartphone to pieces. Their latest teardown tackles Motorola's Droid 4, a high-end Verizon Wireless smartphone with a slide-out physical keyboard. 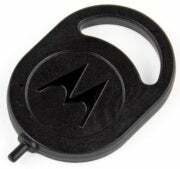 Phone makers aren't always keen on letting users get to their devices' innards, but Motorola actually provides a tool to make it possible. The rear panel removal tool sticks into a hole near the back camera lens, helping the cover slide off. iFixit says this is "the first time in the history of our teardowns" that a device manufacturer has included a removal tool, but it's worth noting that some phones' back panels can be easily removed by hand. 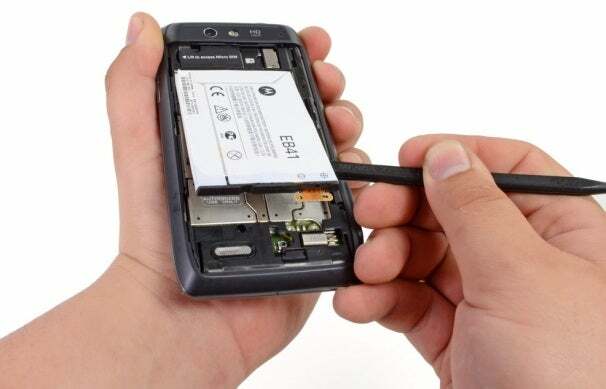 Although the Droid 4's back panel is removable, the battery is not supposed to be. A sticker warns users not to try removing the Droid 4's battery, which is held down with gobs of adhesive and a pair of T5 Torx screws. The folks at iFixit managed to tear the battery apart, but they recommend using a spudger for users who try it at home. “The adhesive is so strong that you may accidentally bend the battery too much (and cause it to possibly ignite) if you try removing it with just your fingers,” iFixit says. Droid 4 users will want to take good care of that physical keyboard. Its pressure sensors are attached to the back of the motherboard, which means if one key fails, the entire motherboard will have to be replaced. Fortunately, the keyboard seemed to have solid internal construction, iFixit said. In case of shattered glass, users should take comfort knowing the Droid 4's LCD won't need to be replaced, because it's kept separate from the glass panel. The phone's touch screen controller is fused to the glass, but it's not as expensive to replace as the LCD.